Charm, comfort and a warm welcome! 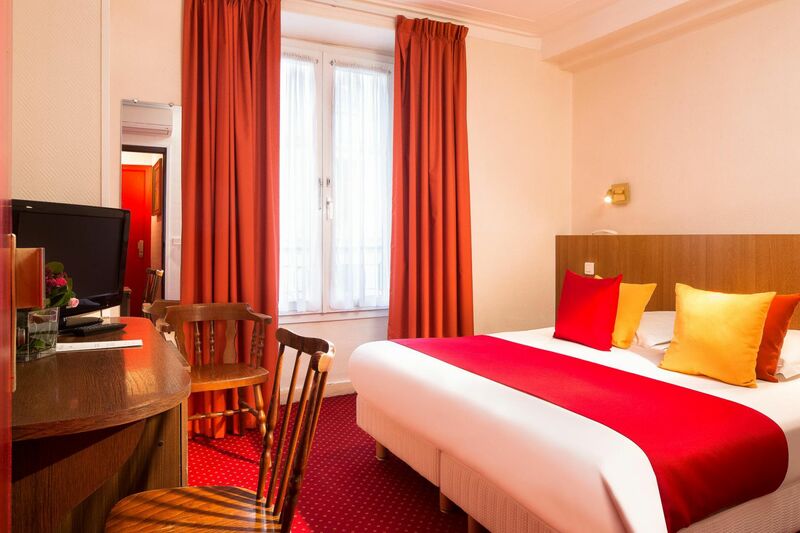 Discover the rooms at Hotel Saint-Roch in the 1st arrondissement, perfect for your holiday, or your business trip to Paris. 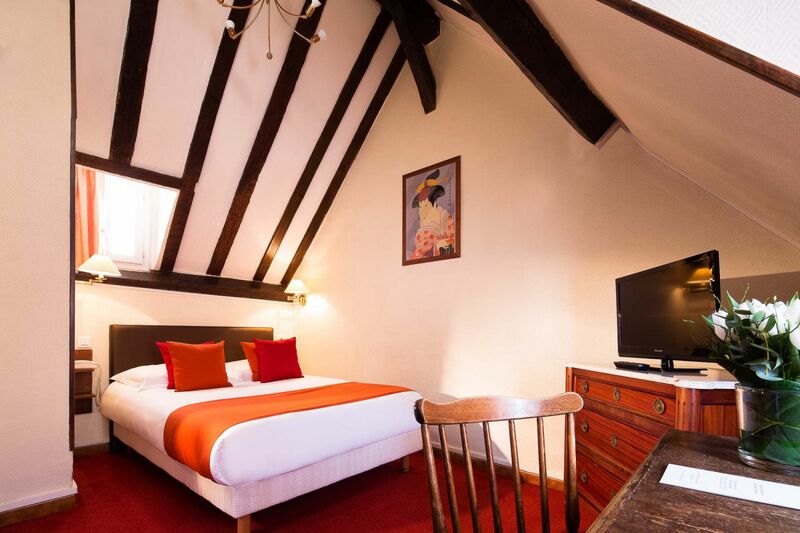 Our 22 renovated and tastefully furnished rooms invite you to kick back and relax. With elevator access to all of them, our rooms are designed for your comfort. 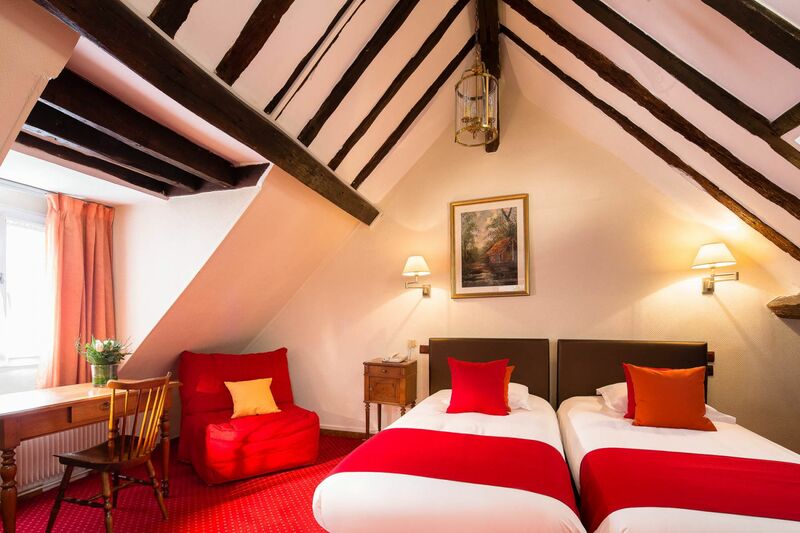 On the top floor, two very spacious rooms offer a cosy getaway featuring exposed beams. These quiet rooms for one guest feature a single bed, a shower and a toilet. 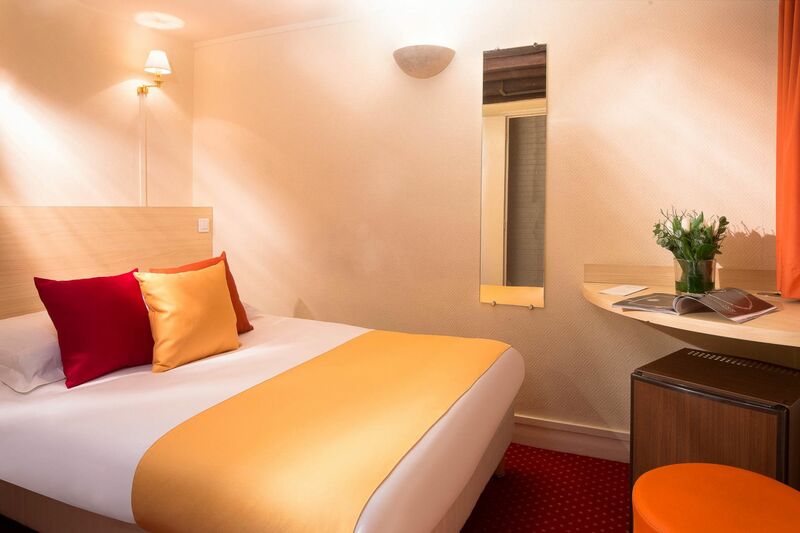 Equipped with: air conditioning, free Wi-Fi, flat screen TV (French and international channels), direct phone line, office, minibar, hair-dryer, complimentary products. These rooms for one or two guests feature a large bed, a shower and a toilet. 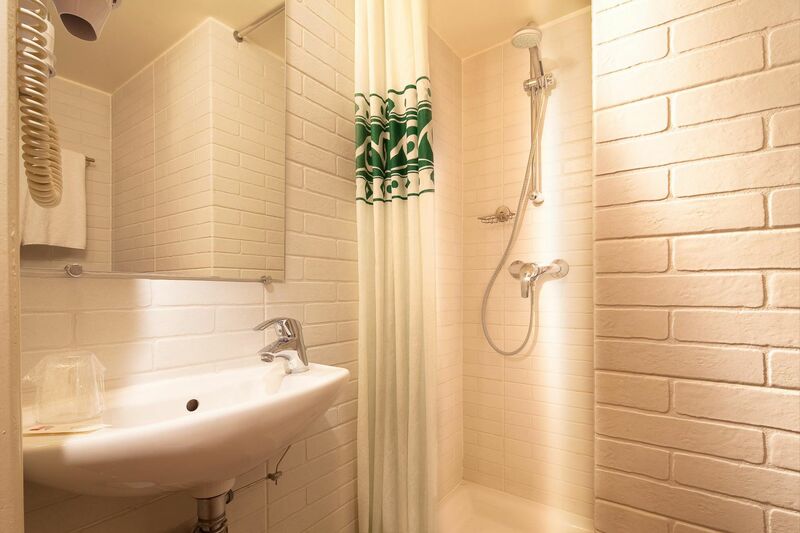 These rooms for one or two guests feature a large bed, and a bathroom with shower, bath tub and toilet. These rooms for two guests feature twin beds and a bathroom with shower, bath tub and toilet. 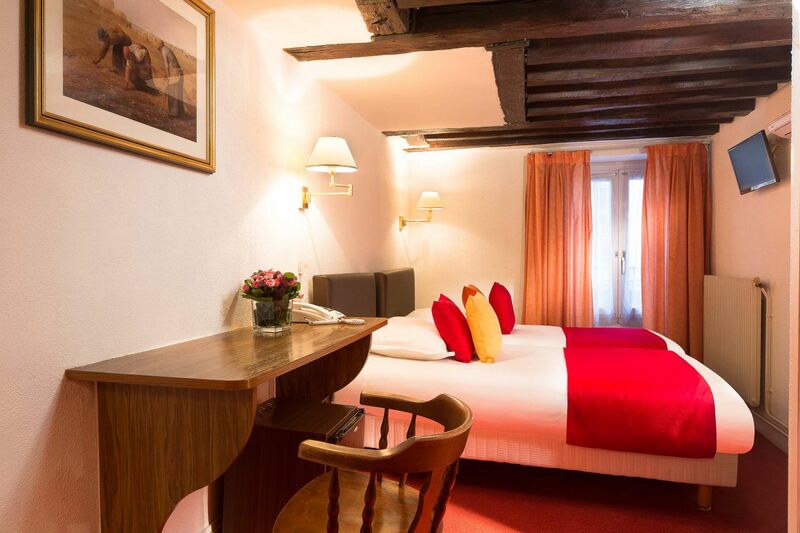 These rooms for three guests offer a choice of 1 double + 1 single bed or three singles. Bathroom with shower, bath tub and toilet.